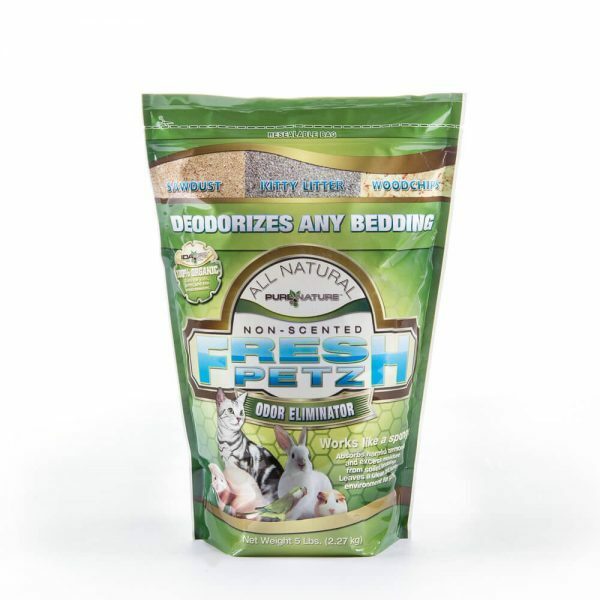 Fresh Petz Odor Eliminator is a granular mineral that will deodorize any pet’s bedding! Typical beddings use absorption to soak in liquids that cause odors, but do little to eliminate them. 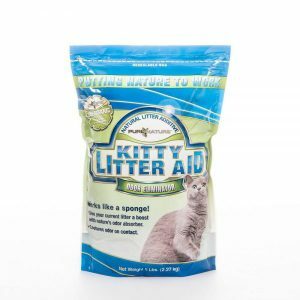 Fresh Petz uses natural zeolite minerals to soak up liquids and neutralize odors through a sophisticated process of ion-exchange with the underlying causes of initial odors. This process allows for no odor masks or additional chemicals to be added, making Fresh Petz safe for kids, pets, and the environment. 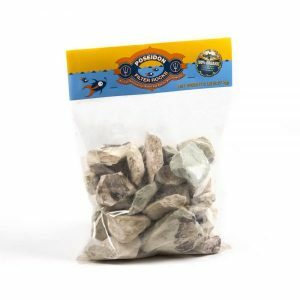 Zeolite minerals are environmentally beneficial whether they are added to your lawn after use, gardens, they will even deodorize your garbage cans! Use Fresh Petz in kennels, coops, and cages of your small animal. Add to the existing bedding of your choice to boost odor absorption capabilities and adsorb odors through Zeolite’s a unique ion-exchange process. 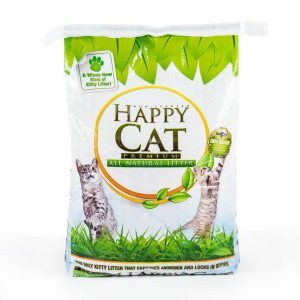 Works well with ferrets, mice, birds, chickens, hamsters, guinea pigs, rats, or rabbits. Essentially any small animal that uses bedding in a confined space. Not recommended for direct contact with snakes and reptiles due to the high absorption characteristics that can dry out their skin. 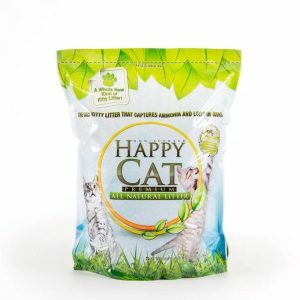 Available in a convenient 5 pound pouch, sprinkle Fresh Petz onto wood shavings, wood chips, shredded paper, newspaper, pellets, turf, or litters. Amount needed varies depending on the size of your pet and the type of bedding you are using. Zeolite is not a clay, it will hold its form and not break down, all with the ability to take in 60% of the mass of each granule in moisture.